Describing something as a phenomenon risks exaggerating its scale and perhaps its significance but parkrun puts us on safe ground. Chris Cutforth charts the development of parkrun since its establishment in 2004 to the global social and physical activity movement that it is today. parkrun is a collection of free weekly timed runs that take place in areas of open space every weekend in the UK and around the world. Saturday parkruns are 5k in length and in the UK and Ireland there are 2k junior parkruns that take place on Sundays for 4 to 14 year-olds. People of every ability and all walks of life are welcome to take part: from those taking their first steps in running to Olympians, from juniors to those with more experience; parkrun welcomes them all. Despite the name ‘parkrun’, walkers are welcomed just as enthusiastically as runners. parkrun events are organised and delivered exclusively by volunteers who are its public face in local communities and one of the things that differentiates parkrun from most other mass participation running initiatives. Many of the volunteers are also parkrunners themselves, switching roles from week to week depending on availability and local needs. On 2 October 2004 Paul Sinton-Hewitt, a keen club runner himself who at the time was recovering from a long-term injury, invited a group of friends to join him on a 5k run in Bushy Park in south-west London. Thirteen people turned up along with five volunteers. Paul’s simple idea was to keep in touch and create an opportunity for people in his local community to come together and run once a week for free, against the clock, with the kids, the dog, the buggy, whatever. Part of Paul’s vision was that after the run everybody would get together for a coffee and a chat in the café in the park. This idea became a cornerstone of parkruns around the world with most finishing within proximity of a café or a meeting point that encourages people to come together and socialise. The event gradually grew, reaching 150 runners after about a year and 378 by the second anniversary. At this point a decision was taken to start a second parkrun at Wimbledon Common, also in south-west London. This second parkrun launched in January 2007 and a third started in Banstead Woods in Surrey six months later. In 2007 Tom Williams, a sport and exercise science lecturer at Leeds University, read about the London developments in Runners World magazine. A keen endurance athlete himself, Tom travelled to London to meet Paul Sinton-Hewitt to find out more and to experience the events first-hand. He really liked what he saw and during one of their many conversations asked Paul about his vision for what he was doing. Paul’s response was: “Wouldn’t it be great if there was a parkrun in every town and city in the world?” Tom was impressed by this even though he thought it a bit crazy. He was equally impressed by Paul’s unbridled energy and enthusiasm. He asked Paul for his support in developing something similar in Leeds. Paul offered him web space, laptops, timers and training, all free of charge, with just one condition: that Leeds would become the fourth parkrun event in the country, the first outside of London. The next few years saw parkrun events established at various locations around England, Wales and Scotland, responding to the growing interest and demand in local communities. Leeds was followed by Richmond, Brighton and Cardiff. Then came Bramhall, Middlesbrough, Basingstoke and Glasgow. 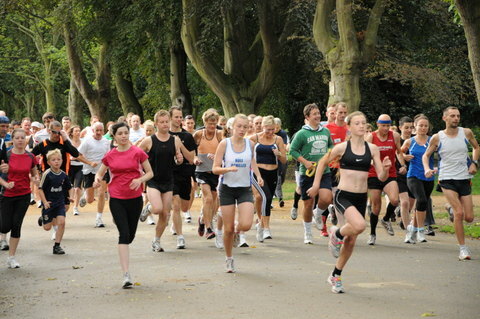 In July 2010 Sheffield Hallam parkrun in Endcliffe Park became the 42nd parkrun to launch in the UK. Today parkrun operates in 1y countries spanning five continents: Australia, Denmark, Ireland, New Zealand, Poland, Russia, South Africa, the United Kingdom, Singapore, the United States, Italy, France, Sweden, Canada Namibia, Swaziland and Finland. There are currently: more than 1,200 events with new events launching every weekend, 600 of which are in the UK; 3 million registered runners, of which 2.1 million have completed at least one parkrun; around 200,000 participants every week and 120 new events starting each year. Making all this possible are over 250,000 volunteers whose combined efforts represent in excess of one million instances of volunteering. In 2014 the founder Paul Sinton-Hewitt was awarded a CBE for services to grassroots sports participation and in 2016 parkrun UK was judged participation event of the year at the country’s prestigious Sport Industry Awards. Trustworthy – we will be relied upon by all to deliver our events in accordance with our stated policies and procedures. Paul Sinton-Hewitt’s original vision, the social mission and Tom’s core values provide a framework and a set of guiding principles within which parkrun operates. Listening to Tom makes it abundantly clear how these values influence the organisation on a daily and weekly basis, often in quite profound ways. As the reputation and profile of parkrun has continued to grow so have the opportunities to collaborate with other organisations. On several occasions these opportunities, often from commercial organisations, have been declined because they would have required parkrun to compromise in some way on its core values and purpose, something it is simply unwilling to do. Paul Sinton-Hewitt has extensive technical skills acquired over many years working in the IT industry. These skills were put to good use in the early days of parkrun developing the results processing system that enabled runners to download and print their personal barcode, have it scanned at the event and shortly afterwards receive an email with their time along with other valuable information including comparisons with previous events and age-category performance, all of which added interest, variety and motivation to the parkrun experience. By the time the fourth event was established in Leeds in 2007 the results system had been thoroughly tested and refined, making it suitable for any parkrun event in any location. The introduction of barcodes in 2009 made the process even easier, allowing parkrunners to turn up at any parkrun event in the world, run, have their barcode scanned and then wait a few hours for their result to be emailed. An additional incentive and source of motivation is provided by the parkrun milestone clubs. These are not clubs in the traditional sense of the word; instead there are six different ways that a runner registered with parkrun can feel a sense of belonging and achievement. The '10 club' is for runners aged 17 or below who have completed 10 or more runs. The '50 club', '100 club', '250 club' and '500 club' are for anyone who has completed that number of runs. There is also a club for volunteers who contribute on 25 or more occasions. Anyone entering a milestone club is given a colour-coded T-shirt with a number on the back to represent the club they are in. The cost of the T-shirts is funded by sponsorship, which means they are free of charge to runners. The importance of establishing robust policies and procedures has become increasingly apparent as parkrun has continued to grow. These are designed to ensure a certain level of quality and consistency, which reflects the uniqueness of parkrun while allowing local events some flexibility to respond to local needs. They cover such things as the timing and length of events, minimum age for participants, gender participation, child supervision, volunteering, use of barcodes, results processing, risk assessment and safeguarding. Possibly the most significant policy decision was a commitment to maintaining parkrun as a free, weekly 5k timed run. Not all of these decisions have been universally popular and some have required more explanation and justification than others. However, there is little doubt that having these policies and procedures in place and reviewing and updating them on a regular basis has contributed significantly to the parkrun success. The support of its sponsors is critical in ensuring that parkrun remains free, forever and for everyone. parkrun works with a small number of organisations who share its vision and values. Vitality is a life insurance provider that rewards people for adopting a healthy lifestyle. Vitality points are gained from participating in parkrun events and additional rewards can also be secured from other health-related partners. Earlier this year Vitality enhanced its commitment becoming the first headline partner to parkrun UK. Intersport is a sports and fitness retailer whose company mission recognises the role community plays in sport and physical activity. Intersport offers discounts to parkrunners on any of its products. Alzheimer’s Research UK, the leading dementia research charity, has partnered with parkrun to fight back against dementia through encouraging physical activity and community volunteering, as well as providing opportunities for parkrunners suffering with dementia to participate in research projects. In 2016 parkrun announced its first presenting partner, Vhi Health Insurance, in Ireland, while parkrun Australia signed a partnership with health insurer Medibank. In 2016 the parkrun apricot clothing range was launched, a partnership with Tribe Sports that is generating valuable additional revenue and is playing its part in ensuring a sustainable future for parkrun. parkrun in the UK also receives support from the London Marathon, 3 Mobile, aql, the Duke of Edinburgh Award, Muckle LLP, Exodus Travels, the Co-op and Leeds Building Society. It has also recently received its first funding from Sport England, which has enabled a strengthening of the medical provision as well as the employment of a full-time data analyst. 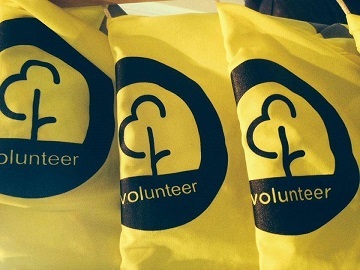 Sport England is also keen for parkrun to diversify its volunteer base and to learn lessons relating to volunteering that can be applied to other organisations in the future. The parkrun social mission has prompted a subtle but significant change of strategy and approach. As well as continuing to support existing events and the ongoing demand for new events, a more targeted approach is now being adopted which involves working with partners in areas of greatest need, often the less affluent communities. Central to this new strategy has been the launch of ‘junior parkrun’, a series of 2k runs for children aged between 4 and 14 which, like other parkrun events, are open to all, free, and are safe and easy to take part in. Apart from the shorter distance the only other variation is that they take place on Sunday mornings rather than Saturday. 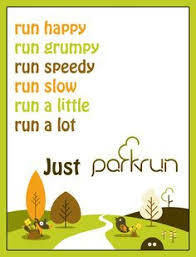 parkrun is also now working with local schools in targeted communities to encourage participation. In February 2016 Warburtons, Britain’s largest bakery, pledged its support for the further expansion of junior parkrun throughout the UK, a partnership reflecting the shared mission of supporting people to build healthy lifestyles and promoting fun, family-orientated physical activity. The success of this partnership over the past 12 months has been phenomenal with 59 new junior parkruns being established, 36 of which are in the most disadvantaged areas of the UK, catering for 3,883 different children. In the most recent junior parkrun survey 60% of children who have taken part said they have an improved attitude towards physical activity. Another exciting recent development is a teaming up with leading sports scientists, engineers, psychologists and public health experts from Sheffield Hallam University to develop ways to improve the health and wellbeing of the UK population. The new partnership will enable academics at the Advanced Wellbeing Research Centre to look at how the free running events are impacting on health outcomes and conduct research into the nation's physical activity levels. In April 2016 parkrun faced one of its toughest challenges to date when Stoke Gifford parish council in Gloucestershire voted to charge for the use of the park. The case attracted extensive national and international media coverage, and political interest, including support for parkrun from the sports minister, Tracy Crouch. After a lengthy period of discussion over several months it became clear that a compromise solution would not be possible so the decision was finally taken in May 2016 to close the Little Stoke parkrun. parkrun’s global chief operating officer, Tom Williams, said he felt "a great sense of sadness" in deciding to close the run but Stoke Gifford parish council's decision to charge for the use of the park "went completely against our most fundamental principles", adding that the council's revised request for parkrun to contribute financially to the maintenance of the park was also not possible. Williams emphasised the founding principle of parkrun was that the events were free and if one paid where the other 900 around the world did not, an "unsustainable precedent" would be set. The continued expansion of parkrun has necessitated regular reviews of governance arrangements. During the past 12 years parkrun has evolved from an organisation established and initially run by volunteers into a not-for-profit limited company employing 20 full- and part-time staff, along with a board of directors that oversees both its UK and global operations. Despite these changes, parkrun remains at its core a volunteer-led operation with the main role of the staff team being to support the vast number of volunteers organising and delivering parkrun events in local communities around the world. So what explains the remarkable success of parkrun over the past 12 years? According to Tom Williams, it is a combination of things: “The vision, single-minded stubbornness and skills of our founder Paul Sinton-Hewitt have been fundamental to our success. Without his passion, energy and enthusiasm we simply would not be where we are today. Our strategy has evolved since the start. A key success factor has been understanding what needs to stay the same and what needs to change. Listening to and learning from our volunteers has been key to this. Helping us to solve problems and exploit opportunities together has been key to our success”. Tom has more to say about the parkrun volunteers: “Volunteering with parkrun can be just as life-enhancing as running, possibly even more so for some people. Being part of a community, having a sense of purpose, giving something back have, in some cases, proved transformational and these stories are so very important to us. They are absolutely what parkrun is all about. Tom also considers the absence of a target-driven culture to be one of the factors that has enabled the organisation to achieve so much in such a short space of time. “Not having the pressure to hit a certain target by a certain date frees you up to hit those numbers. Instead we are able to focus on supporting our volunteer event teams to deliver really wonderful events. I think if we had set numerical targets from the outset we could have taken our eye off the ball and not created a product that has enabled us to achieve those levels. One senses that parkrun is going to be around for a very long time and will continue to be groundbreaking in its approach, and in the global context within which it now operates parkrun will continue to play its part in making the world a healthier and happier place. Chris Cutforth is a senior lecturer in the Academy of Sport and Physical Activity at Sheffield Hallam University where he teaches sport policy and strategy to undergraduate students and leads on international work. A keen recreational runner, Chris has recently completed his 60th parkrun and aims to get to 100 within the next two years. He has recently embarked on a tour of parkrun events within a 50-mile radius of Sheffield and he regularly blogs about his experiences.